The Greenland ice sheet is melting at its fastest rate in 400 years at a pace that has nearly doubled since the end of the 19th century, according to a new study published in the journal Geophysical Research Letters. That could have major consequences for global sea level rise, according to online environmental magazine Yale Environment 360. The Greenland ice sheet contains about 8 percent of the ice on earth, and if all of it were to melt in the coming centuries, global sea levels would rise by 20 feet. The Washington Post notes that the melting is already impacting sea level rise. In recent years, as Arctic air and ocean temperatures have risen, Greenland has been losing more ice through melting on its surface and through iceberg breaks at its periphery. It’s currently contributing almost a millimeter annually to the rising of the oceans, more even than Antarctica. And the research suggests that global warming is largely to blame. 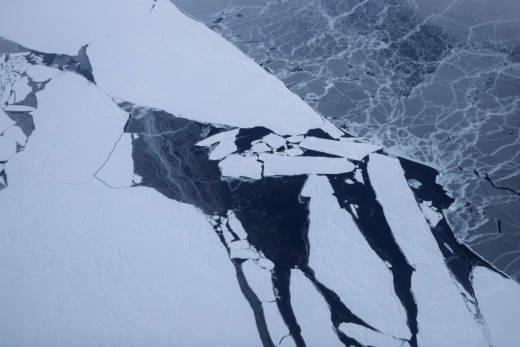 When placed in the broader context of our planet's history, the findings are pretty alarming, says lead researcher Erich Osterberg, a Dartmouth glaciologist. “The last time it was as warm as now, we were getting much more radiation from the sun because of Earth’s orbit, and that was probably [7,000] or 8,000 years ago,” Osterberg told the Post. Meanwhile "Scientific American" notes that while icebergs get plenty of media coverage, more attention needs to be paid to surface melting when assessing Greenland's ice loss. Much of the recent attention on Greenland’s ice loss has focused on icebergs breaking away from the ice sheet’s glaciers, eye-catching events that often draw media attention and capture the public’s imagination. But research suggests that melting from the surface of the ice sheet actually accounts for more than half of Greenland’s ice loss. And with global warming becoming the norm, looking at the impact of greenhouse emissions will become crucial when making evaluations of sea level rise.